Vehicle owners who fail to address obvious rust may find themselves facing a liability lawsuit for negligent maintenance of a vehicle. While we tend to see this claim more often in truck accident cases where large corporate carriers don’t adequately maintain their fleet, we can also bring such a claim against private vehicle owners when there is evidence they neglected to address basic maintenance issues that could foreseeably impact safety and played a role in the crash. One may also pursue a negligence claim against an auto repair shop in the event one’s mechanic breached the duty of care owed to do a reasonable job with repairs, leading to a safety issue. What Is Rust and Why is It On My Car? 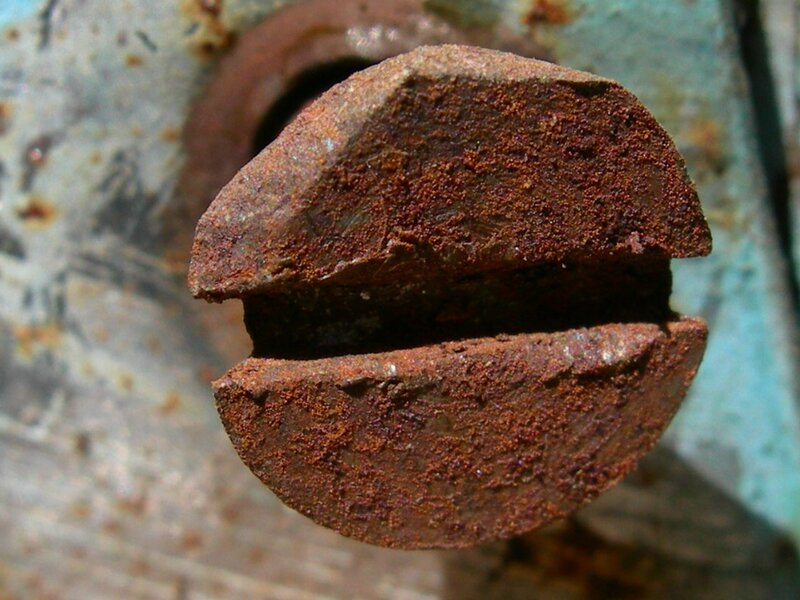 Rust is that reddish or yellowish brown flaky coating of iron oxide that can form on steel or iron through the process of oxidation, fueled in large part by the presence of moisture. We may sometimes also refer to this as corrosion. In regions like the Northeast and specifically New England where winter weather is prevalent, de-icers are commonly used before, during and after storms in order to make the roadways safe for travel. You may recall that for years, municipal and state transportation departments primarily employed rock salt to combat snow and ice on the roads. An increasing number are now using de-icers, which contain chemicals that can spur the rust and corrosion of vehicle parts. Salt was never great for vehicles either, but the problem with the chemicals that have now fallen into greater favor is that they are more likely to become trapped in body panel cracks where rust can grow more rapidly. AAA reports these rust issues affect an estimated 70 percent of American motorists. Fixing these damages cost an estimated $500 per vehicle. Although rust isn’t always totally avoidable, people can clean their car regularly after driving. They should also promptly fix any body damage, which will not only help prevent further unnecessary corrosion, it will also help reduce the chances those parts might fail or malfunction, resulting in a car accident. Why is Rust Bad for My Car? A rusted vehicle is an unsafe vehicle. Rusted out brake lines can leak. Rusted gas lines can pose a fire hazard. Frame rails that are rusted will provide inadequate protection to vehicle occupants. As the Car Talk hosts noted, you might never even realize your frame is rusted until you have a crash. You thought you had several thousand tons of steel shielding you, and suddenly you realize the frame was so rusted out, you had far less protection than that. Older cars especially may be more prone to rust, but that doesn’t mean owners of newer vehicles shouldn’t take care. In-dash warning lights for brakes or other critical systems. A soft or “spongey” feeling when applying pressure to the brake pedal. Smell of fuel or other fumes in or around the vehicle. Can I Hold The Driver of a “Rust-Bucket” Liable for Causing the Crash? The answer to this question really depends. First, we need to ascertain the cause of the crash and whether the vehicle rust – and failure to address it – was causal. If not, we may not have grounds for a claim for negligent maintenance of a vehicle unless we can show the rust at least contributed to the exacerbation of injuries sustained. In either case, we’ll need to show the vehicle owner/ operator knew about or should have been aware of it and failed to use reasonable care in addressing the issue. We need to show the operator of that vehicle failed to exercise a degree of care that an ordinarily prudent person would in maintaining his or her automobile in reasonably safe running condition. MGL ch. 90 outlines all of the requirements for vehicle maintenance. It covers everything from regulations and standards on tires, brakes, lights and more. As our Boston car accident attorneys know, some instances violations of Chapter 90 may be considered evidence of fault or negligence. Although there is no specific statutory requirement to address vehicle rust, MGL ch. 90, section 7 holds that every vehicle operated on any way must be provided with working brakes, braking systems, mufflers, horns, lights, audible warning systems and other equipment that is in compliance with safety standards. Rust can impact each of these systems. Excessive rust can indeed be grounds to assert a claim for liability, but so too can general negligence. Just as motorists owe a duty of care to reasonably maintain their vehicle, they also have a responsibility to operate that vehicle reasonable care. The failure to do so can be grounds for a personal injury car accident lawsuit seeking damages for medical bills, property damage, lost wages and more. It’s worth noting that if you are involved in a Boston car accident with someone whose vehicle has a rust problem, it’s plausible they may have minimal or no auto insurance. In these cases, we will still need to establish liability of the other party, but from there can pursue uninsured or underinsured motorist coverage from your own auto insurer.